WEIGHT LIFTING: Cindy Tavinor and Kirsty Wooler came out on top at Scrutiny Strength and Conditioning's Sunday Push Pull competition. 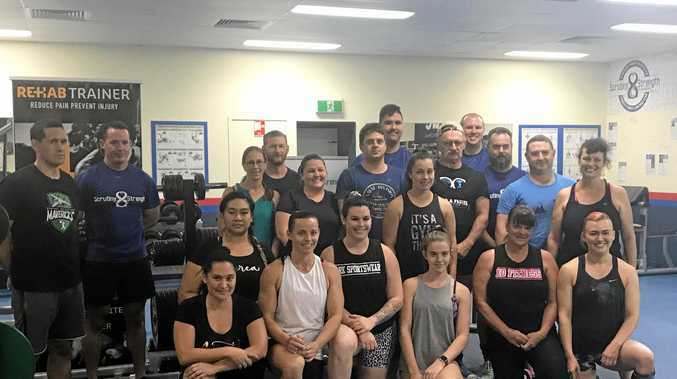 It was the first event of the year for the centre, with 19 Rockhampton lifters battling it out for the top honours. "The two winners we had today, Cindy is a little more experienced lifter and she's really really strong,” Scrutiny owner and manager Shaun Housman said. "She predominately trains Crossfit but we've done some coaching with her in the past. "She shows lots of natural talent and strength. Novice lifter Wooler was an impressive feature at the competition, having never competed before. "It shows just what we like to see in a novice lifter,” Housman said. "She was very controlled and a very good natural lifter. "We had nine novice lifters this time, which is really good, and they were all women. Despite Tavinor missing out on breaking her PB, Housman said Wooler had definitely improved. "Cindy was a little bit off because she trained in a new direction of training,” he said. "Our next competition is in April which is our full three lift; squat, bench and dead lift. "You don't have to be a member to come and compete. You can be a member of any gym. Reflecting on the day, Housman said it was "excellent” and had provided local lifters with more exposure to competitive lifting. "I love working with new lifters,” he said.